Turn left onto Selsmore Road & continue for 0.7 miles. Turn left onto St Hermans Road & continue for 0.1 miles. St Hermans Estate is straight ahead. There are two rates for pitch fees, depending on whether the park home is a single unit (10’ or 12’ wide) or twin unit (20’ or 22’ wide). The above figures include water & sewerage charges. Almost all of our residents pay their monthly pitch fees by direct debit. This is not a postal address and there is no office onsite. All of our business, including the management of this park, is conducted at our Head Office. 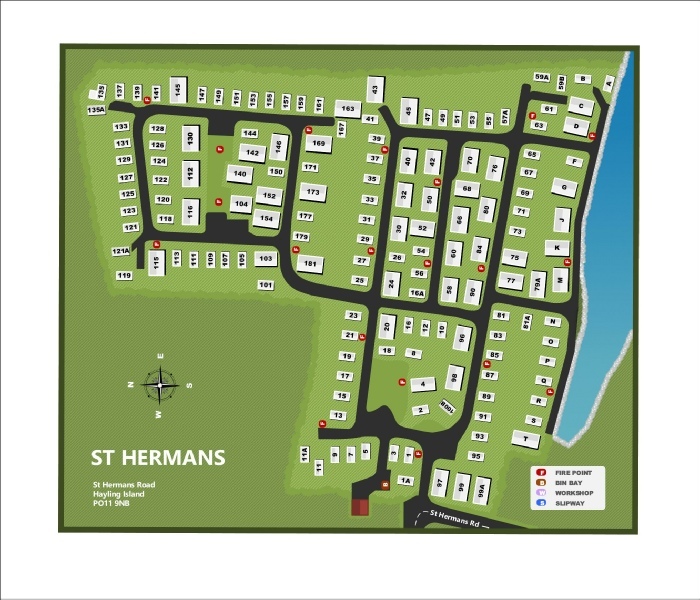 St Hermans is the only park on the island with residential status. It is exclusively for people aged 55 and over. It has one hundred and fifty nine pitches and we are gradually redeveloping the existing holiday pitches to accommodate park homes . 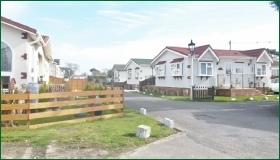 The park is open all year round as it is residential.